Tmart is a drop shipping friendly supplier and an online marketplace founded in January 2011 and its headquarters are located in HongKong. They have warehouses located all over the world and their biggest are in US, UK, and obviously in HongKong. And now, it is also a new supplier integrated with DSM Tool. 6. What should I expect from Tmart customer service? Should you dropship from Tmart? 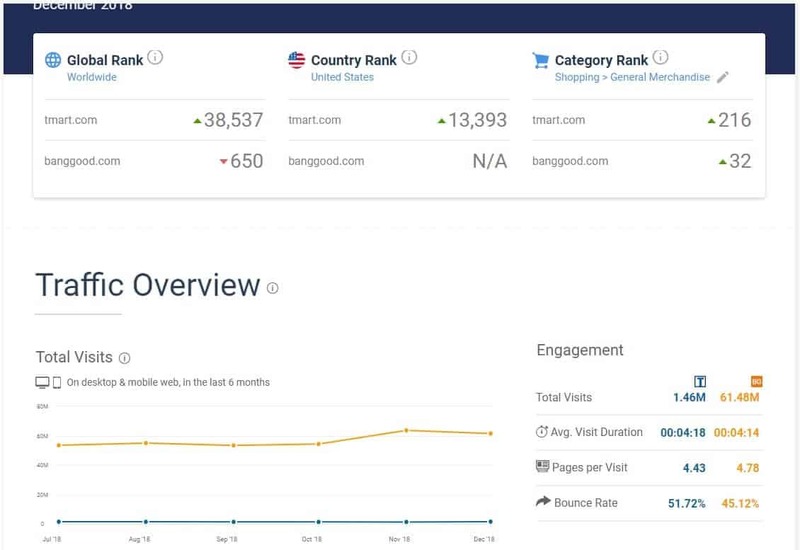 If you compare Tmart to Banggood and GearBest, that we previously featured, it is still climbing on its way up with tight competition and it shows good numbers based on it’s ranking. 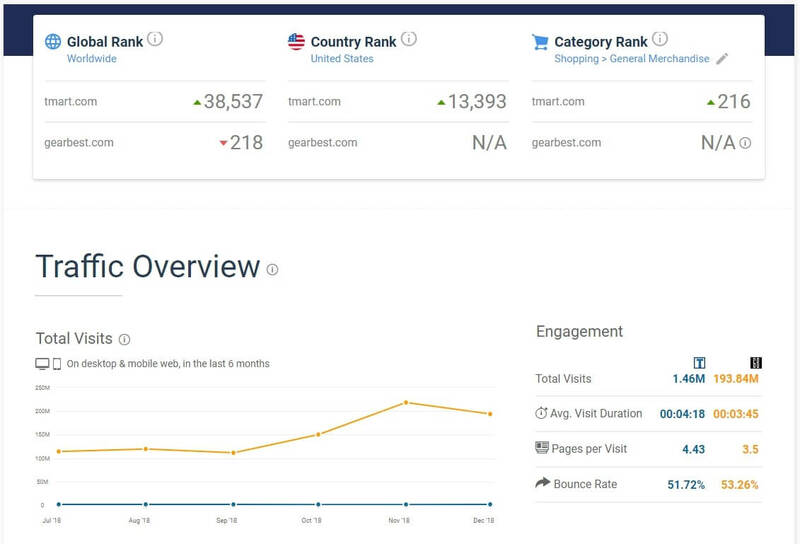 Below you can see Tmart website global ranking growing (in green), under the Shopping category it is ranked 216. What makes Tmart such a great opportunity is the fact that on one hand, it is growing, which symbolizes a good quality of products and customer services. On the other hand, it is still relatively small remaining it unknown to most buyers (and sellers!). 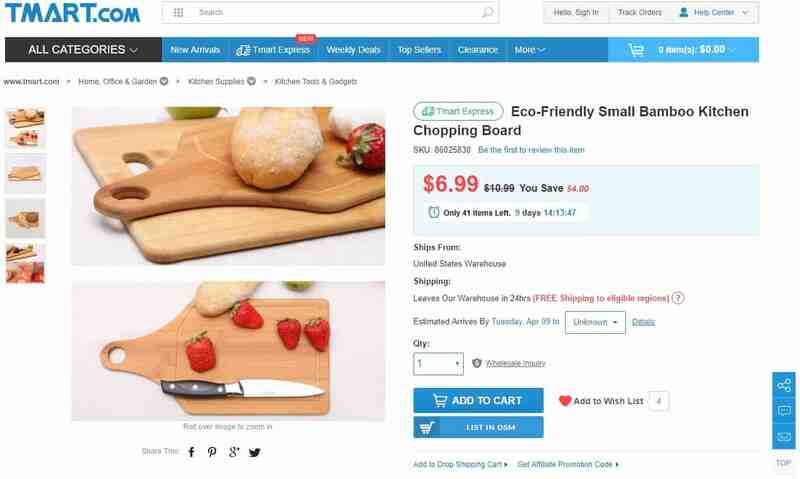 According to Resellerratings.com pricing ranking, Tmart is far cheaper than Amazon as a supplier, which makes it a great drop shipping opportunity. On the image below, this time it shows that Amazon has a rating of 3.7 while 7.9 for Tmart, this means that Amazon has a low rating of satisfaction based on the price of the product. 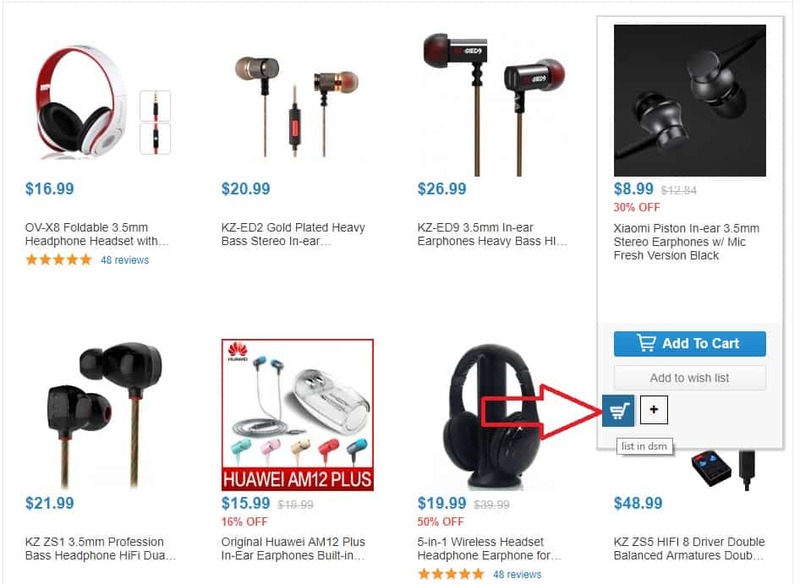 The images below show that Tmart has a huge advantage over Amazon in price. 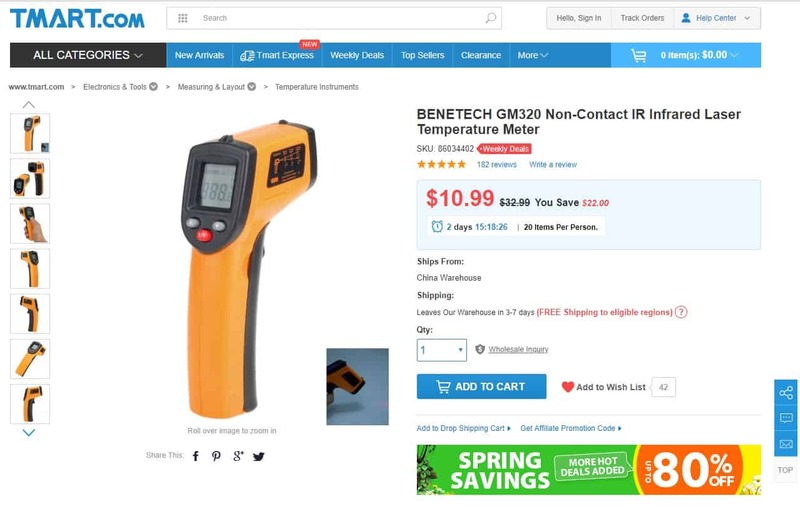 The thermometer is only sold for $10.99 in Tmart while on Amazon it is sold $29.80. It is important to note that obviously, Amazon’s shipping time would be much shorter, yet for price seekers – this is a great opportunity. 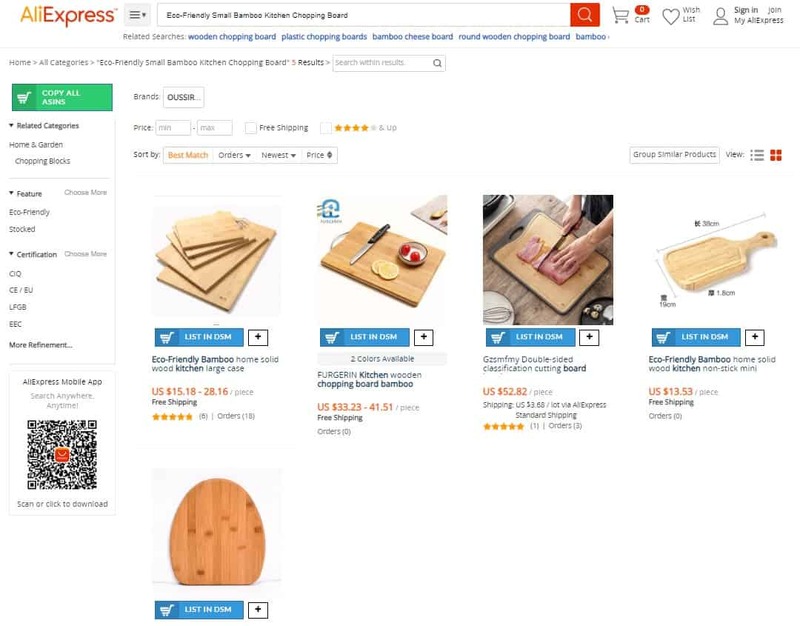 According to ResellerRatings website that compares marketplaces, AliExpress has a slight advantage if we will talk about price on the same item. On the image below, it shows that AliExpress has a rating of 9 while 7.9 for Tmart, this means that AliExpress have a high rating of satisfaction based on the price of the product. On the example above, you can see that an item that I found in Tmart cannot be found in AliExpress and the price is way cheaper in Tmart in comparison to ANY similar item on AliExpress. 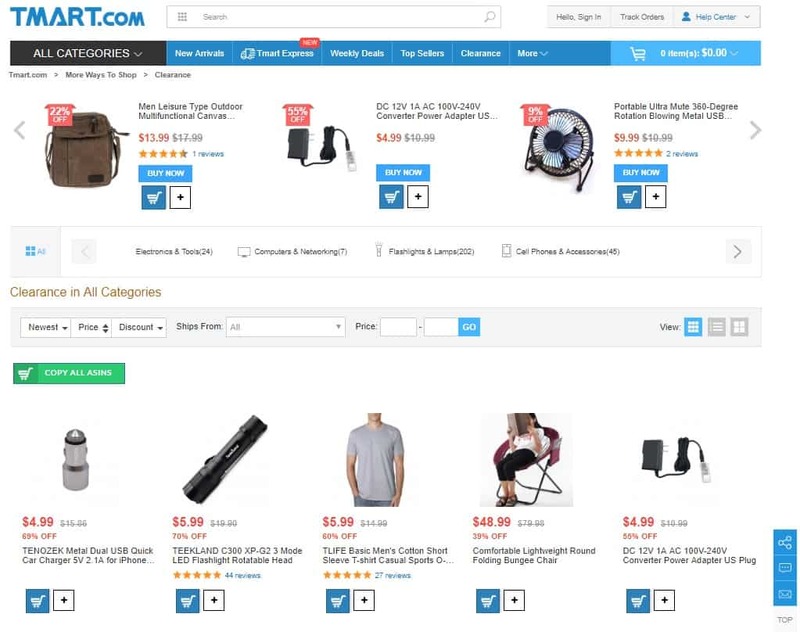 Tmart has a program for drop shipping sellers! There are two reasons for you to place an order on Tmart using its dropshipping center. 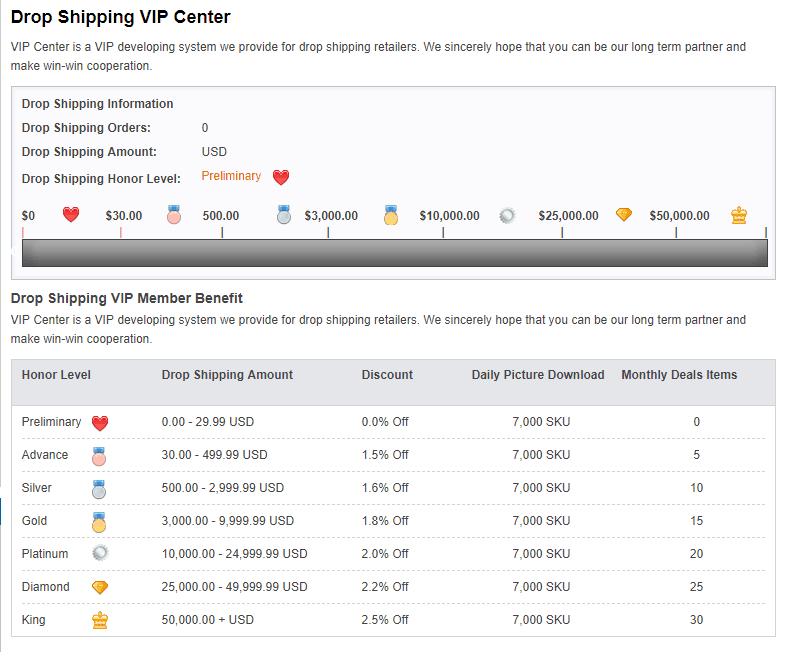 First, your order will count for your dropshipping honor-rank which will be explained later in this article. Second, the package will be sent with no Tmart logo making it a drop shipping friendly supplier. The orders are processed under the page “Place a drop shipping order”. 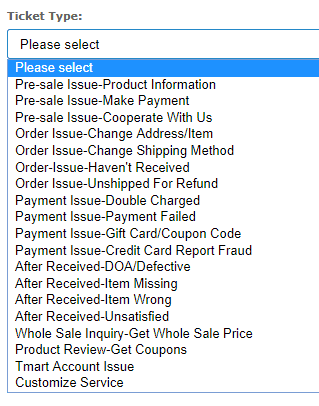 In it the process might be different than what you’re used to: first you have to enter the buyer address and only then choose what product to send to them. 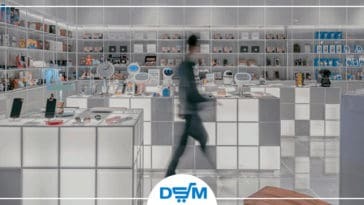 According to Tmart website, 90% of its products sold to US customers could be shipped from the US warehouse of Tmart, providing a 1-3 days shipping. This is a great deal for drop shippers that can try to compete not only with US suppliers pricing but also with the delivery time of those suppliers. The more you sell, the less you pay! Volume discount – your account get an “honor ranking” according to your selling volume, you start at the honor-rank “Preliminary” ($0-$30 per month) which gives you no discount, but once you sold $30 you are already eligible for the “Advance” honor which will give you 1.5% discount on every purchase you make while you’re holding that honor rank. Monthly Deals Products – Each ranking allows you to choose a certain amount of products and apply for a 10% discount on those products. 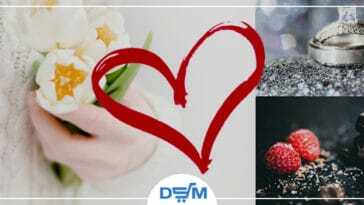 You can send Tmart team the SKU of those items and the discount will be applied when you place orders for those items. The monthly deals could be adjusted at any point of time by re-applying, otherwise – the same products will stay discounted month after month. This is actually amazing news! Think about it, if you managed to sell a product that others did not manage to sell and you’re applying to get a 10% discount for that product – you are going to increase your profitability for every new sale you made for that product, which is already a best-seller of yours! Not sure what products to apply with? 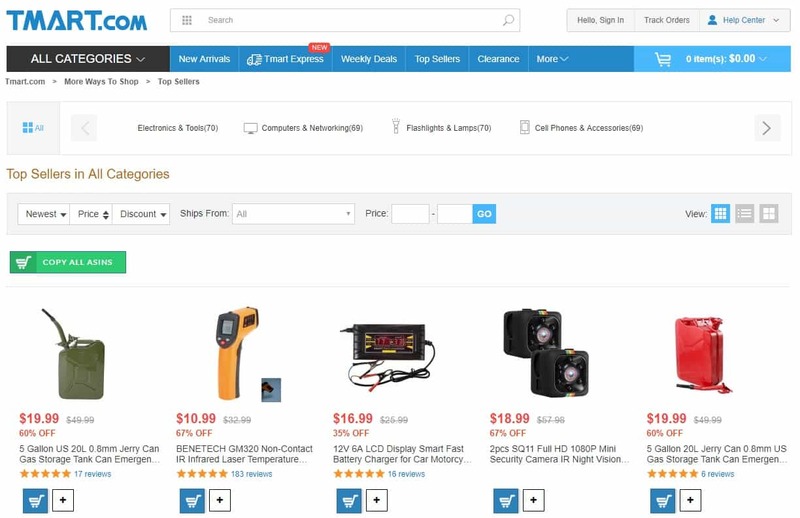 Tmart has a monthly deals section where they offer products for the 10% discount themselves, no application required. It is under Dropshipping -> My Monthly Deals. It is only available once you are eligible for discounted deals. How to apply to Tmart drop shipping program? 2. 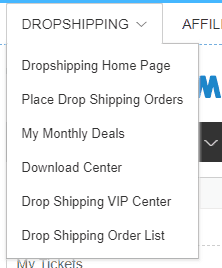 On the left-hand side of the site, you will see the word “DROPSHIPPING”, click on it and select “Dropshipping Home Page”. 3. 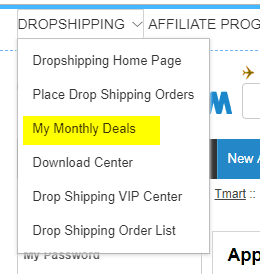 On Tmart’s dropshipping homepage, click “Join as a DropShipping Client”. 4. 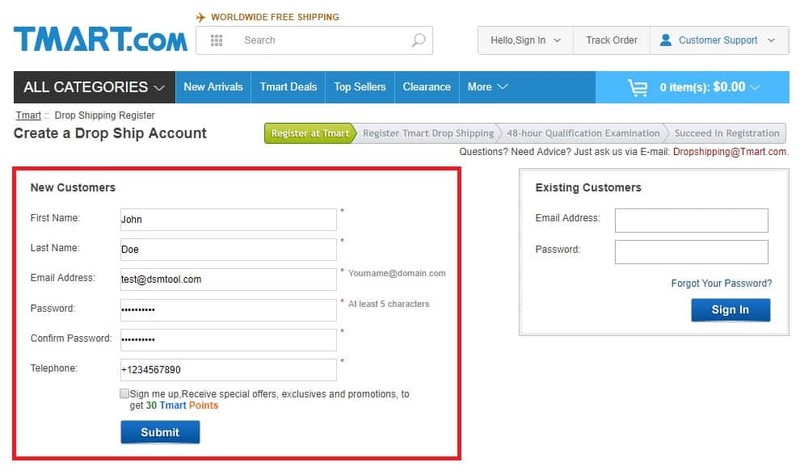 Provide the necessary information on Tmart’s dropshipping program sign-up form then click on the “Submit” button below. 5. Provide the link of your store, phone number (you can use the same phone number that you used to sign-up), and the information about your store then click “Register”. 6. You need to verify your account to ensure its security, click the “Click here” to send a verification email. 7. Click “Verify your Email Address” to complete the registration process. 8. Congratulations! You are now a member of the dropshipping program of Tmart. It is always a question whenever that you are starting a drop shipping business is where and how to find the best selling items to sell, well, Tmart have that answer for you. 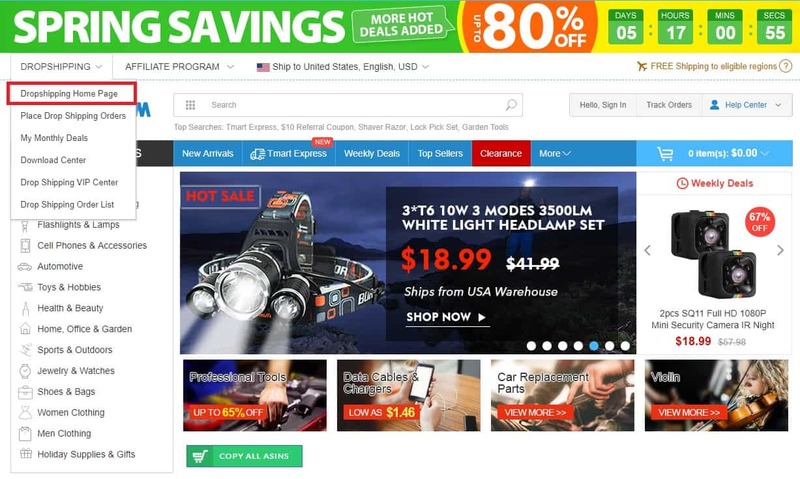 In their main homepage, you will immediately see their special sections: New Arrivals, Weekly Deals, Top Sellers, Clearance, and Bargain Corner. In the Gearbest as a dropshipping supplier guide, we mentioned that Gearbest is focused on electronic products, Tmart is the same, from mobile devices to industrial electronic gadgets they all have it. Aside from Electronics, Health and Beauty catalog is also one of their best sellers. The newest addition of products from different categories and some of them have discounts that you can take advantage of for your store as you might find unique items no one has sold before. 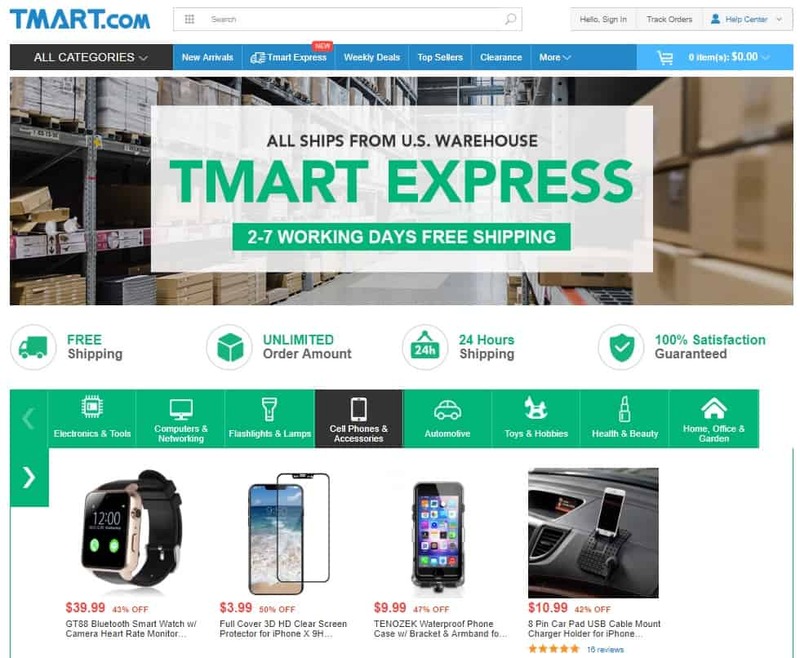 Tmart Express section promises 2-7 days of shipping for FREE and the products are all shipped from Tmart’s US Warehouse (note: DSM Tool is not yet supporting listing and repricing products from Tmart’s U.S warehouse, but the team is working to support it as soon as possible. By then, you may manually dropship these products). You will also notice that most of the products high positive reviews which translate into good quality and some of the products have discounts too. This section gives BIG discounts to selected products which run for a week. You can set-up a 7-Day duration listing in this type of section so that you can maximize the discounts that can be avail. You can also refer to the article that we previously publish as to what right listing duration to use on your product listings. Having a hard time to research a good product that sells? Tmart’s Top Sellers section makes it easy for you. 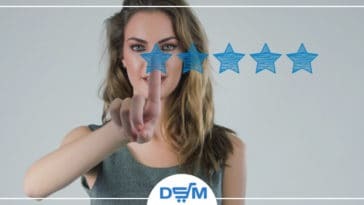 In this section, you will see all the top reviewed products and products that are really selling based on the number of orders. This is a section in which prices are lowered in order to sell things quickly and make room for new stocks. Please note that clearance sections tend to be very cheap but also unreliable. You might want to consider ordering those home and then reselling them from your home, in any case, do not try to resell those items without an automated software that will check and sync the price and the stock of those items. Tmart’s Shipping Policy depends on the warehouse that you will choose, It is either US, UK, or China and each one of them has different processes. 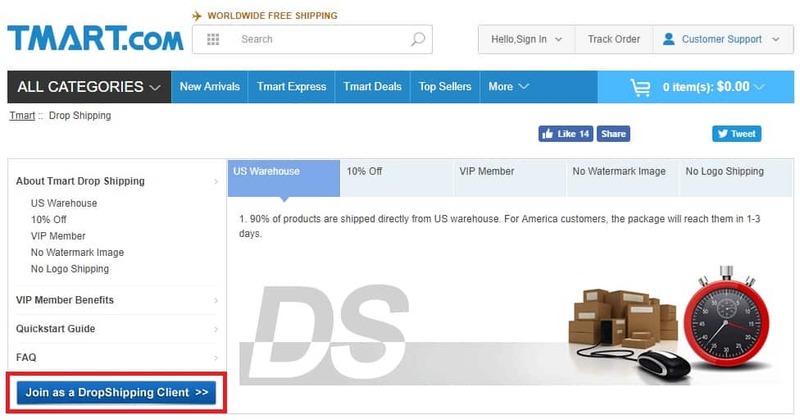 While there is no reason to repeat here what is being said on the Tmart shipping policy page, we’d like to note that products sent from the UK warehouses do not offer tracking information, something to keep in mind regarding selling from Tmart in the UK. 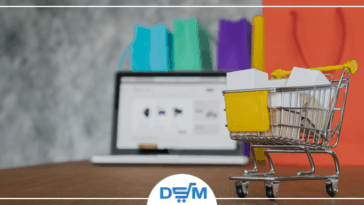 If you are using DSM Tool as the software for your dropshipping business, we have a Help Center guide that can give you steps on how set-up your Business Policies that will work properly to Tmart’s shipping options. 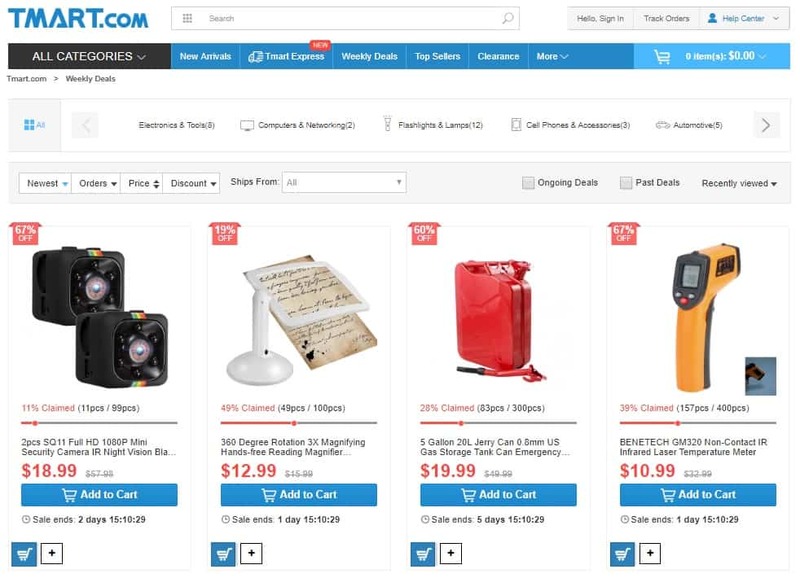 Currently, Tmart accepts PayPal, Webmoney, Visa, MasterCard, American Express and Discover as payment methods for buying items. Tmart has insurance or protection to buyers where they can refund the purchase amount right away or they can re-send the item if the package is lost or the item received defective. This feature is optional with an additional cost of $1.99. We did not yet test it ourselves, let us know in the comments below about your experience with Tmart returns! Tmart offers tier-based support. 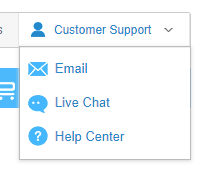 when starting to source from it, live chat is not available just yet. You can contact their support via email or review their help center where you might find answers to common questions. When we read reviews most said that they received a prompt reply to emails, but the English words are sometimes hard to understand so you need to give easy to understand words so that the conversation will go well. Cashback is also a way to increase profitability from your purchases and Tmart is also affiliated by some cashback sites like GivingAssistant and Ebates. They also give coupon codes that you can use when you shop a product from them. 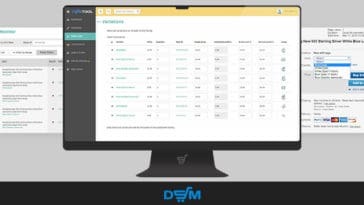 Use the DSM Chrome Extension for dropshipping product sourcing to either list a single item or collect multiple items for bulk listing. 1. Hover the cursor to the item that you want to list and then click on the DSM shopping cart. 2. The product link will be copied and the page will be redirected to DSM Rapid Lister. 1. 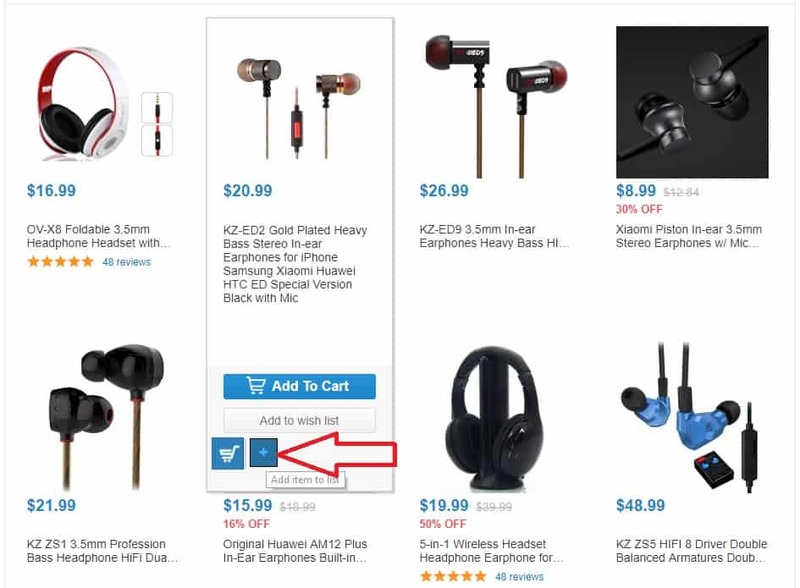 Hover the cursor to the items that you want to list and click the “+” button. 2. Once you have selected the items that you want to list, it will create a list on the right-hand side corner of the screen. Click the “Copy To DSM” button. 3. 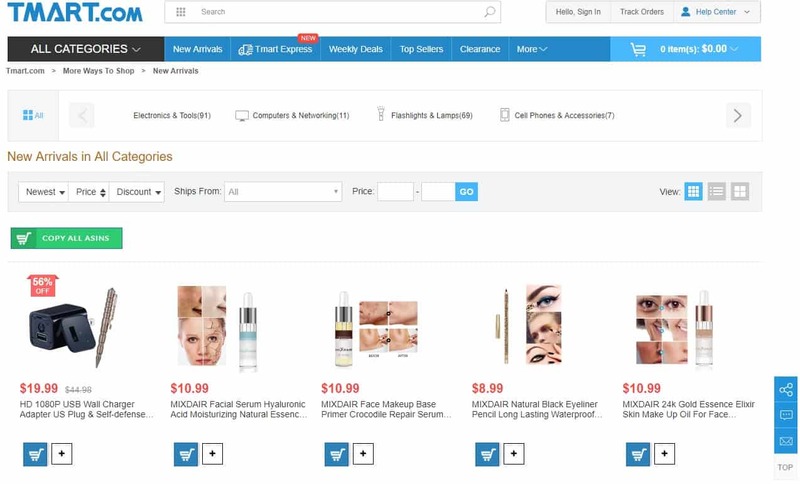 The product links will be copied and the page will be redirected to DSM Rapid Lister for Bulk items, Tmart.com will automatically be selected as the supplier. 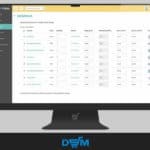 DSM Tool checks and reprices Tmart products every 60 minutes. 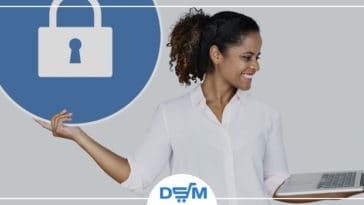 The DSM system will apply the change in the price of your listing if it detects any movement in the price from Tmart website and set the listing out of stock if it goes out of stock on Tmart. 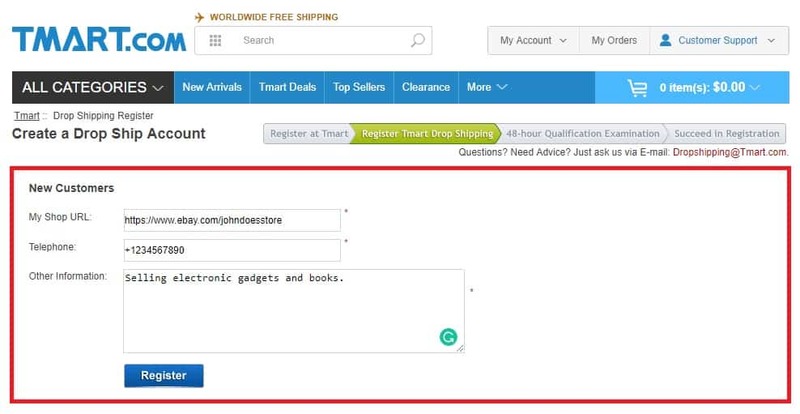 Using the DSM Auto-Paste Chrome Extension for drop shipping orders processing you can quickly copy the address of buyers and paste it directly to the checkout page of Tmart when processing orders. Go to Sales and Orders page and look for the buyer’s address. 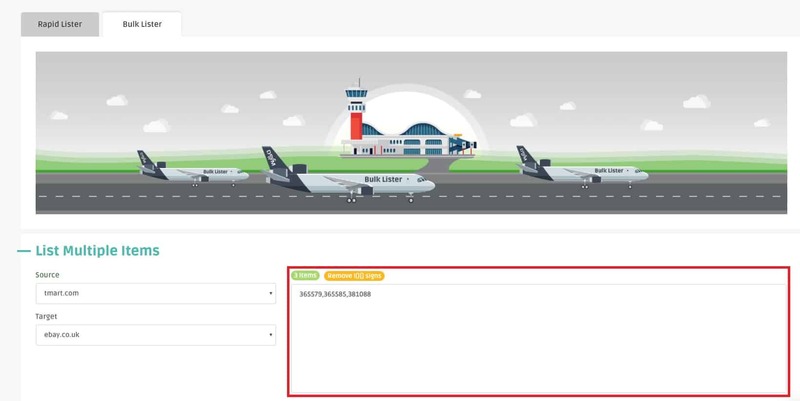 A “Copy Address” button will be available to click and the address will be copied automatically. 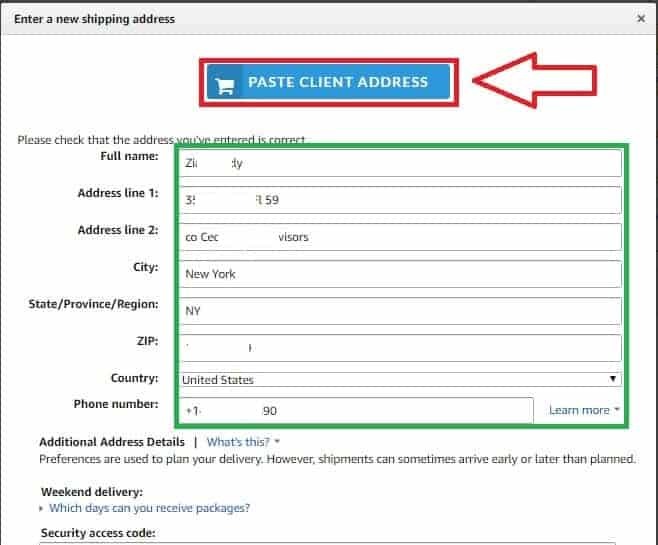 To paste it, click on the “Paste Client Address” button in the address filling area at the target website. Use the DSM Auto-Paste Chrome Extension to update tracking information when you receive an email with the tracking information. 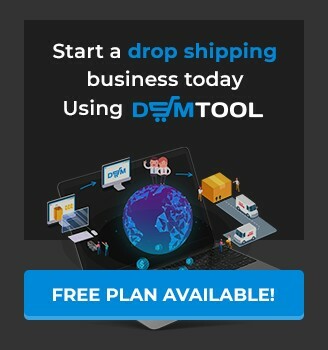 DSM Tool is being upgraded all the time to provide you with everything you need for your dropshipping business. This is a good opportunity for drop shippers who are finding a less competitive source that can give a standard expectation. Romeo started his experience in eBay as a virtual assistant in 2015, he lives in the Philippines and before working in DSM he worked as an English teacher. 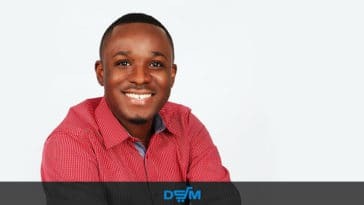 He worked as an account manager for DSM Tool customers working with dozens of eBay sellers while maintaining an active eBay account by himself. Romeo is also a talented chess player and is always up for a game.